I discovered Bishop Henry McNeal Turner by accident. While starting a seminar class in rhetorical criticism and trying to hone in on a dissertation topic, I ran across a speech delivered by Turner. He delivered the speech on the floor of the Georgia House of Representatives as the House debated whether African Americans could hold office in the state of Georgia. I remember reading the speech and wondering if anyone had studied Turner’s rhetoric. However, there was a problem. Since Turner lived during the nineteenth and early twentieth centuries, it was my belief that texts to study Turner would be difficult to find. Turner, like many of his contemporaries during this time, spoke extemporaneously—not from notes or prepared texts. Moreover, unlike many other speakers during this time, Turner did not travel with a stenographer—or someone who could have written what Turner said for later publication. Going into my project, I only hoped there were enough texts to do a solid dissertation. Imagine my surprise when I found that Turner was one of the most prolific writers and speakers during his time and that much of his writings were not lost to history. Turner published copious amounts of material for the newspapers, magazines, and journals of his day. Turner lectured throughout the country and wrote extensively on his travels to Africa. In short, many would consider Turner a public intellectual in today’s definition of the term. Sadly, many today have not heard of Turner—even within the AME Church. Indeed, it is as if Turner has been lost to history. I found myself always explaining to people who Turner was and why I thought, at least, he was so important. 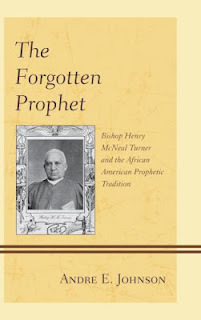 In writing, “The Forgotten Prophet: Bishop Henry McNeal Turner and the African American Prophetic Tradition,” one of my aims is to (re) introduce Turner to contemporary audiences as well as to recover a lost voice within American and African American history. I do this by locating Turner within the African American prophetic tradition and examining how Turner adopts prophetic personas throughout his career. As one of America’s earliest black activists and social reformers, Bishop Turner made an indelible mark in American history and left behind an enduring social influence through his speeches, writings, and prophetic addresses. This text offers a definition of prophetic rhetoric and examines the existing genres of prophetic discourse, suggesting that there are other types of prophetic rhetorics, especially within the African American prophetic tradition. In examining these modes of discourses from 1866-1895, this study further examines how Turner’s rhetoric shifted over time. It examines how Turner found a voice to article not only his views and positions, but also in the prophetic tradition, the views of people he claimed to represent. 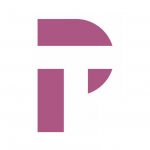 My goal is to demonstrate how Turner’s rhetorical trajectory shifted throughout his career—moving from someone who was optimistic about the prospects of African Americans and America in general immediately after the Civil War, to one who became pessimistic about the prospects of African Americans and America near the end of his life. I do this by offering a close reading of four speech texts of Turner—two early in his career and two later. Each speech text makes up a chapter and my central argument is that Henry McNeal Turner adopted a prophetic persona and used prophetic rhetoric to move, transform, encourage, uplift, and challenge his audiences. In the concluding chapter, I offer a brief examination of Turner’s career after 1895, a summary of my findings, and Turner’s place within the prophetic tradition. It is my hope that in examining Turner by weaving both text and context together for analysis, this exercise will become a springboard for further understanding and study on one of the most important figures in American public address in the nineteenth century. Andre E. Johnson is the Dr. James L. Netters Professor of Rhetoric & Religion and African American Studies at Memphis Theological Seminary. He is currently editing a proposed 12 volume series on the works of Bishop Turner under “The Literary Archive of Henry McNeal Turner.” He is also the editor of the Rhetoric Race and Religion blog and Senior Pastor ofGifts of Life Ministries in Memphis, Tennessee.